Pirellone has been a lighting classics for 40 years. Two pieces of curved glass held in place by metal elements at the base and the top: the secret of this simple structure lies in the use of special impact-resistant glass. 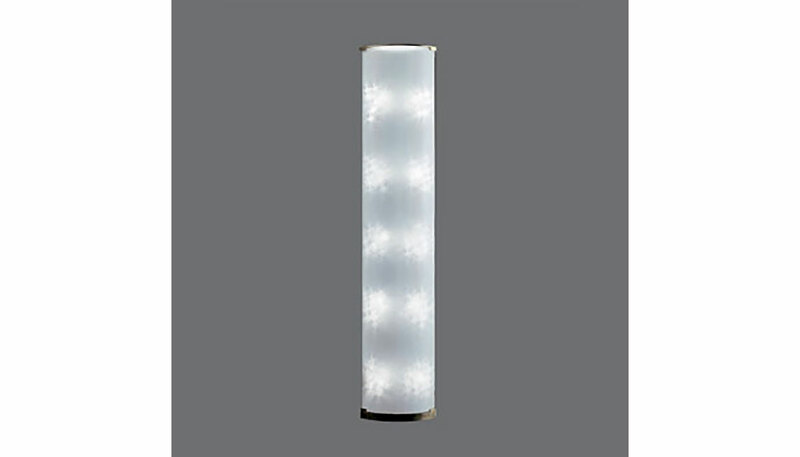 Floor lamp with dual emission for soft and indirect beam. Frame in satined nickel-plated brass. Diffusers in pressed curved glass. Black power cable and plug. On/off switch. Manufactured by FontanaArte.